Welcome to Qingdao Jiuhe Heavy Industry Machinery Co., Ltd. Feeding inlet and discharging outlet with reasonable design, faster feeding and discharging, easy operation. Add:No.9 Wanglan Road, Longquan Street, Jimo, Qingdao. The model of chassis match: ISUZU/SINOTRUK/NISSAN/HINO etc. 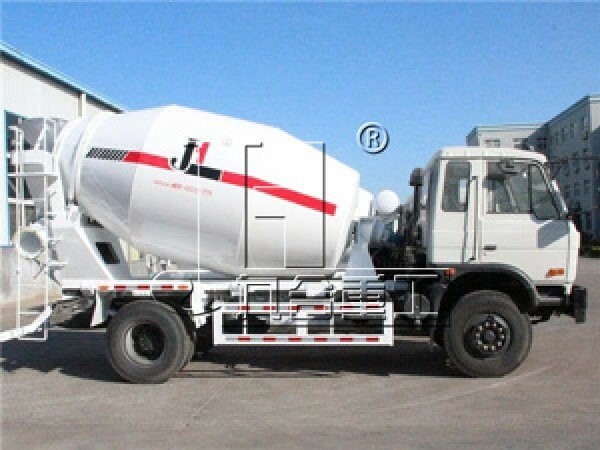 2) Steel structure adopts high-strength steel shot blasting, structure strength improved 20%, strong bearing capacity and great anti-knock effects. 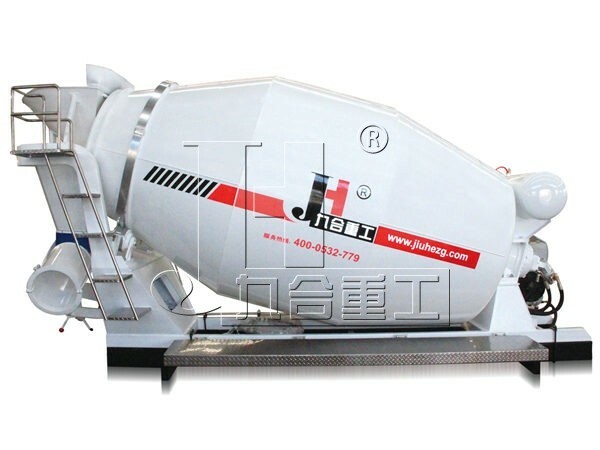 Optimized design of concrete mixing tank, improve loading ability, mixing on average without separation. The blade has unique wear-resisting protection structure, improving blade service life 80%. 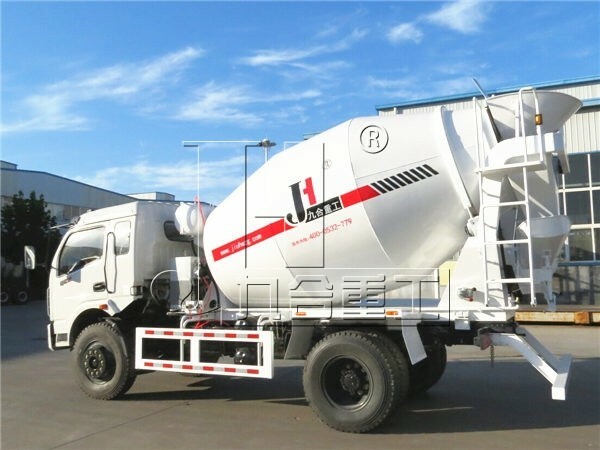 4) The design of low angle of inclination, center of gravity is lower 5% than similar concrete mixing truck, safety factor higher 10%. 5) Simple operation and useful application. Copyright Notice © 2015 Qingdao JIUHE Heavy Industry Machinery Co., Ltd. All rights reserved.